The RS112 is a new high quality compact cabinet in the RS bass range. RS112 delivers TC tone in a small and compact package. But don't let the tight design fool you, RS112 handles 200 watts of power and the 12" driver and 1" tweeter is the perfect choice for a full toned sound anywhere spaces comes at a premium. As with all of the RS range, the 12" driver and tweeter (with rear HF adjustment) are custom made by the Eminence and offer superior quality and power. Great sound - The Eminence 12" and coaxial placed 1" combination secures fast response and punch while the rear cabinet vent adds to the final touch to the ultra low end reproduction. 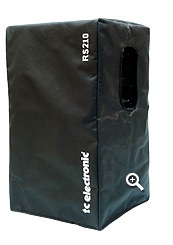 Stackable and portable - As well as being easy to carry, RS112 maintains the RS range's 'stackability' concept. All the cabinets in the range may be stacked together in various combinations. 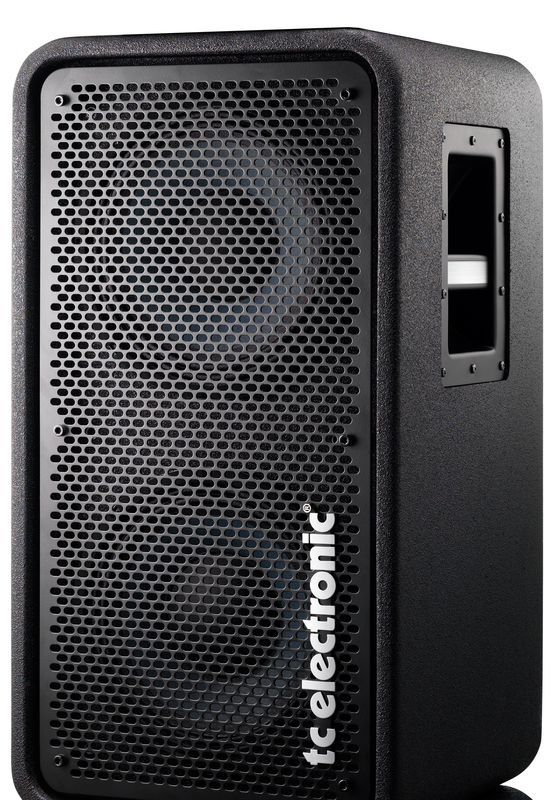 The RS112, for example, fits perfectly under an RS210 making an ideal combination for small to medium sized gigs. Connectivity - RS112 features two high quality Speakon connectors as well as a heavy duty HF attenuator on the rear side. RS incorporates a rugged design with an anti-scratch finish and uses a dual-component ‘anti skid’ surface treatment to help cabinets ‘stick’ together when stacked. These lightly padded 'slip-on' cabinet covers allow you to quickly and effectively cover and protect your cabs during transportation. The cabinet covers are designed in a rugged nylon fabric and include cut-outs for easy access to cabinet handles.